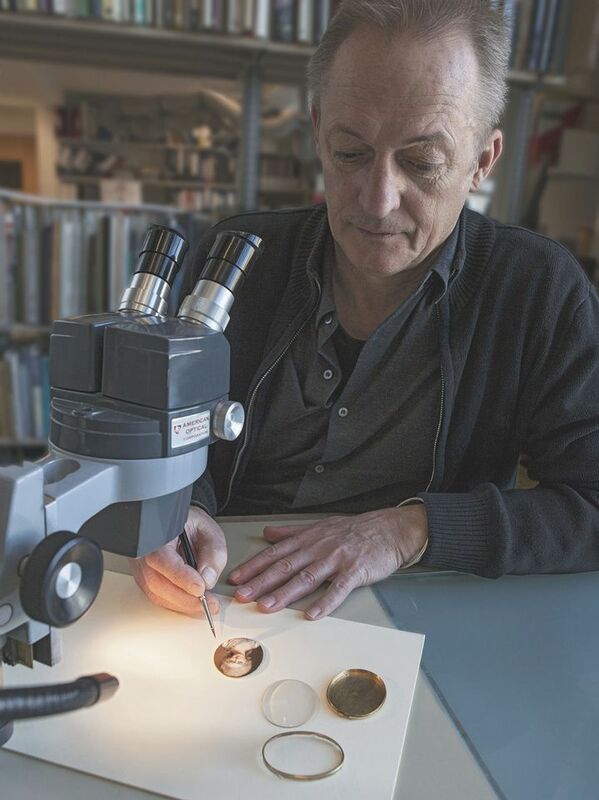 If you ask Alan Derbyshire how he came to specialise in the conservation of portrait miniatures, he says it was “being in the right place at the right time”. He joined London’s Victoria and Albert Museum (V&A) as a paper conservator in 1983 and later spent two years training under the museum’s miniatures expert Jim Murrell. He assumed the role of the V&A’s go-to person for miniatures after Murrell’s death in 1994 and has gone on to become a world expert in their conservation. His achievements in the field have not gone unnoticed. Derbyshire is the recipient of the 2018 Plowden Medal—the highest accolade in conservation awarded annually by the Royal Warrant Holders Association. We asked him about his work, his favourite artists and what collectors need to know. The Art Newspaper: What are some of your favourites pieces that you have treated? Tell us about your interest in the miniaturist William Wood. You often reconstruct miniatures to see how they are made. Could you tell us some more about that? What are the most common mistakes that collectors make when it comes to caring for miniatures? “I have run workshops all over the world—the US, Canada, Europe, Australia and here in the UK. As you can imagine, it’s a very specialist field. You can’t train someone in portrait miniature conservation in two or three days so my workshops for conservators, curators and collections managers focus on training people to recognise conservation problems before they get too bad and require interventive work. I have also spent the last few years training one of my V&A colleagues, Dr. Victoria Button, in the more specialist skills required to carry out in-depth treatments - succession training is vitally important so that knowledge and skills are not lost." How does it feel to receive the Plowden Medal?